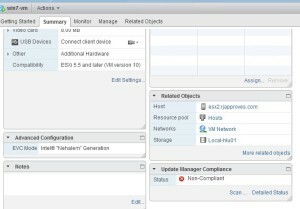 VMWARE UPDATE MANAGER (VUM) SHOWS UP IN VSPHERE WEB CLIENT 5.5 | RJ Approves This Message! 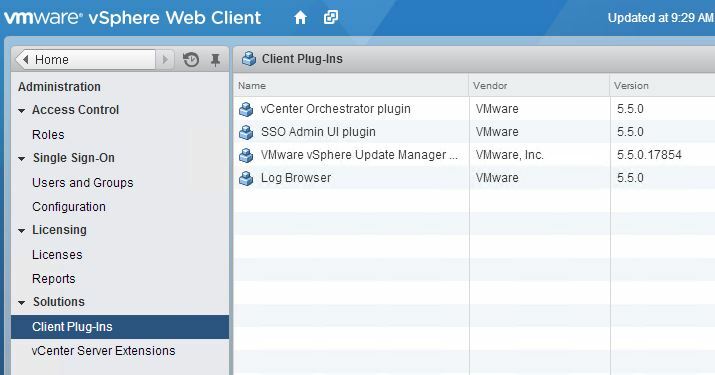 I was working on my lab for a new deep dive blog post and guess what I run into and was actually glad/surprised to notice – VUM is now in vsphere webclient 5.5! 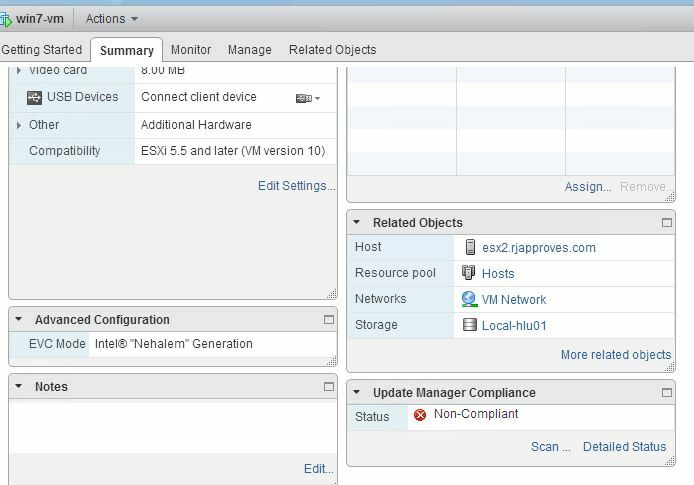 I recently upgraded my home lab with vsphere and vcenter 5.5 and also vmware’s update manager as well. It has been running great ever since and my discovery brought a smile to my face. 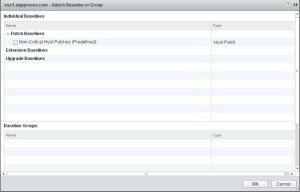 Not that I keep my hosts up to date all the time but it was more about the convenience of not having to switch back and forth between the Windows client and the web client – now that I am getting used to using it. Above u see the vmware vsphere update manager plugin installed and enabled. You could disable it which is the only action allowed as expected. 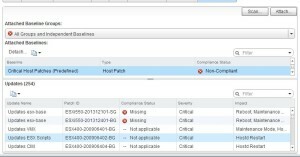 And on the Summary page for the Host – you have a update manager status showing up. Below is the new tab on “Update Manager” that you now see from your web client. Lets look at the virtual machine now, right client a virtual machine and this is what you see all the way at the bottom You also see the update manager status in the Summary page of the virtual machine. As you can see my tools are out of date! Now lets go ahead and Stage and re-mediate but, that’s where it starts to disappoint because you CANNOT do it from the web client! 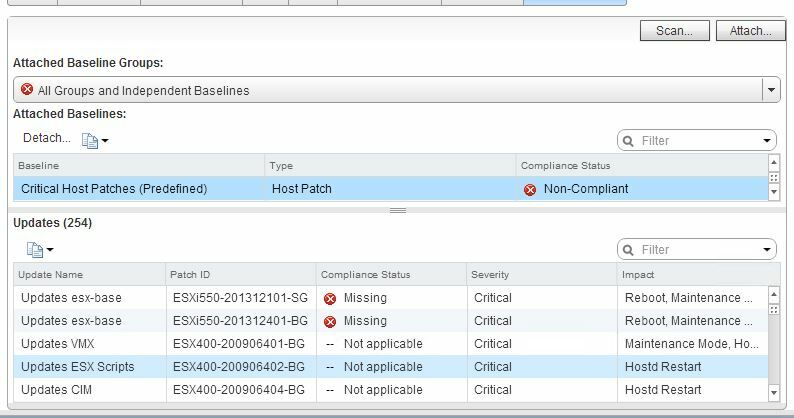 You will need the Windows vsphere client to stage and re-mediate these upgrades and patches! 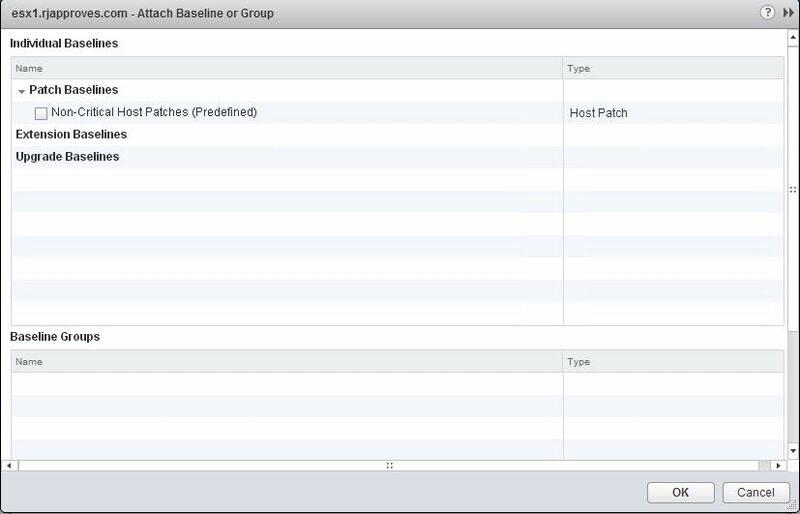 You can’t create new baselines either nor any of the advanced settings can be changed. 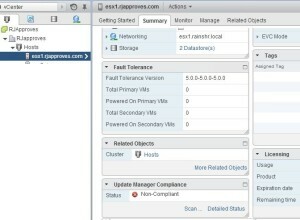 All you can do for now is to attach baselines and scan hosts and virtual machines against it. 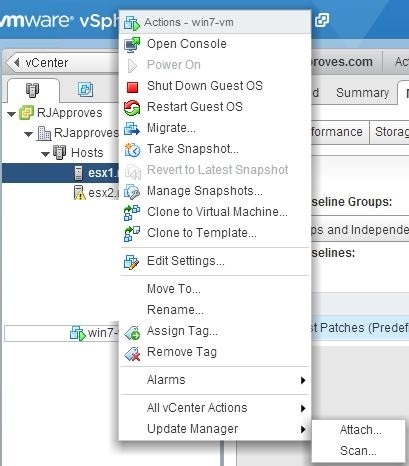 Looks like VMware’s thought process was to atleast allow consumers be able to scan them using the web client without having to login to the windows vsphere client to scan and find out that their hosts are already up to date. Atleast now they will know when their hosts are non-compliant and can login to the Windows client to patch them up. 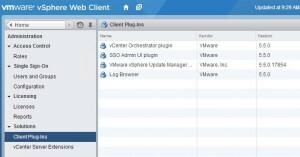 Seems like we are closer and can expect vmware update manager to be fully integrated into the web client in 6.0 may be? 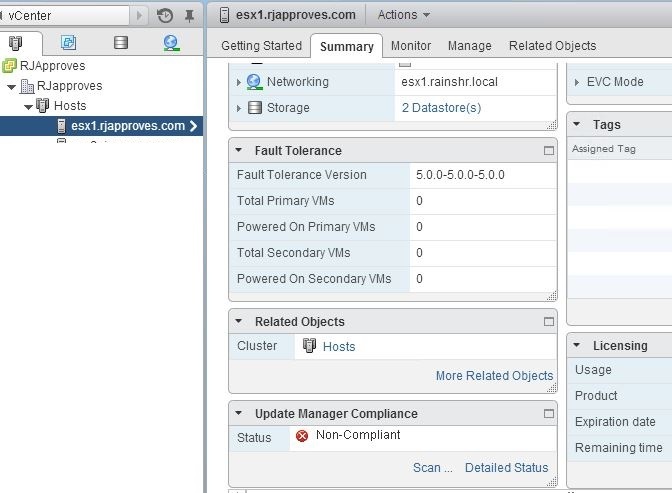 Or is VMware going to transform vmware update manager into something new and exciting and “intelligent”? Remains to be seen.